The Aussie soul scene can be a tough space to crack for a young face, with the accolades going largely to the established set. 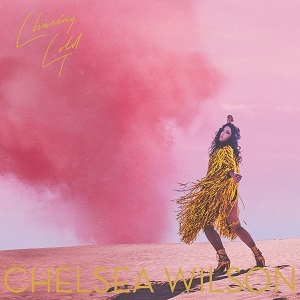 But Chelsea Wilson is jumping the queue with her vocal prowess and disco caress that transcends her years (in a good way). While fresh, her face might be familiar from the jazz circles of Melbourne (including a stint, disclaimer, in the hallowed halls of PBS as presenter of Jazz Got Soul). She also supported Macy Gray on home soil, and graced the stage at Glastonbury in the UK. For Wilson, the mood has thawed since her debut album Hope you’re Unhappy Without Me (which was named the No.2 Album of the Year by ABC Radio National). On Chasing Gold, she’s on the rebound and swinging her disco hips on the dancefloor again while keeping things close to her soulful heart. ‘Real Love’ is an infectious jam in the vicinity of Nile Rogers, with a sprinkle of disco added for good measure. The wormish guitar lick comes courtesy of Dylan Marshall. “Gonna be the real thing”, she sings, as a promise of what’s to come. Co-produced with bassist Ross McHenry of the Shaolin Afronauts, the album features Myele Manzanza on drums, Dylan Marshall on guitar, Andy Boyle on keys, Emily Rosner on harp, Audrey Powne on trumpet and string arrangements by Ross Irwin. Chasing Gold is available through House of Valerie Joan here. Chelsea Wilson will launch Chasing Gold at Howler ($25) on April 12. Sounds From The Village Vol. 2 by Al Dobson Jr.